The era of lithium exploration and production is well and truly upon us as the shift towards lithium-ion battery powered technologies accelerates. By 2030, petrol powered cars could be in the minority as petrol-power is expected to be replaced by electric powered lithium-ion batteries. This shift towards clean energy is placing an increased demand on the raw materials required to manufacture the technologies that will charge the future. 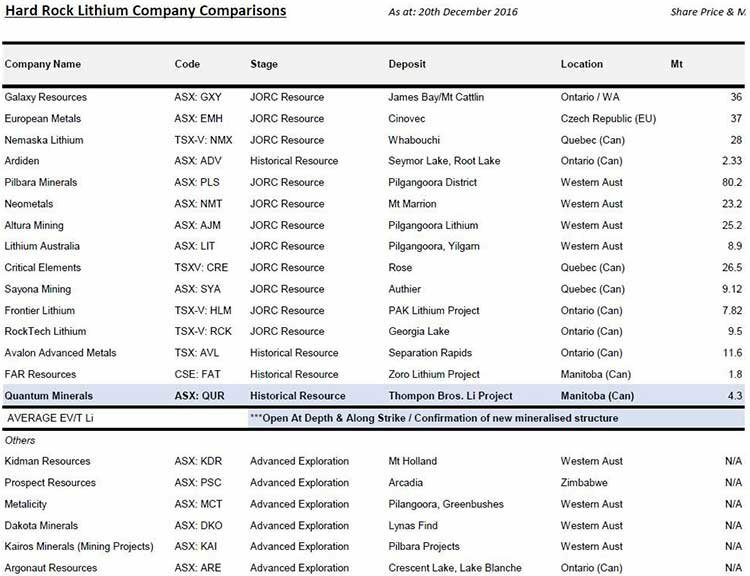 The ASX listed company on our radar today has just embarked upon a fully funded exploration program under the Northern Lights in Canada at its highly prospective lithium deposit in Manitoba, ranked one of the top mining jurisdictions in the world. 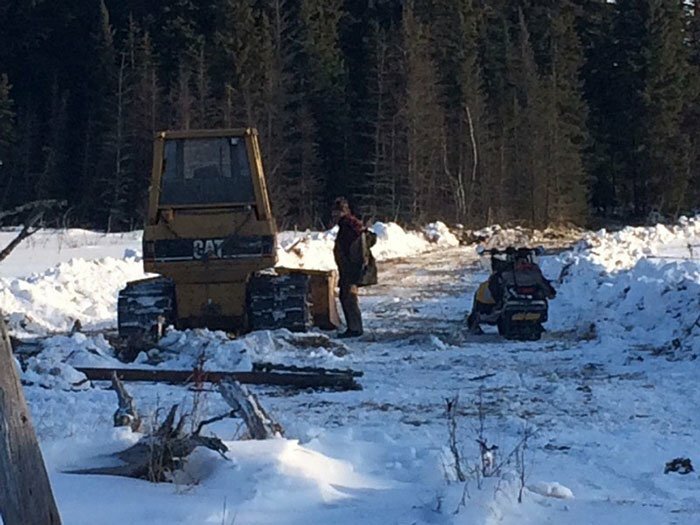 The company has now begun its drilling, having received its drill permits for its 2017 Winter Drill Program, finalised its budget, signed its contractor agreements and finalised site works on the ice road construction, trail and drill site building at its Thompson Bros Lithium Project. With a tiny market cap of around $7 million, yet a strong financial position with over $1.2 million in the bank after a recent $660,000 capital raise, this company offers significant upside potential on the back of its current, fully funded, drilling program. Following exploration undertaken in November 2016, results have shown the company is sitting on high grade lithium of up to 1.62% Li 2 O and confirmed there is a parallel mineralised structure now known as Thompson #5 at its Thompson Brothers Lithium Project. This parallel structure underlies the potential for this company to significantly increase the scale of lithium mineralisation at the property. Furthermore, a large area of the property remains unsampled, opening the door for the company to identify further mineralisation. With such positive results recorded, the company will fast track its drilling program over the coming weeks and months to confirm the historical, non-JORC compliant resource of 4.305Mt @ 1.3% Li 2 O that was previously calculated. The program is envisaged to comprise 16 diamond drill holes along approximately an 800m strike of known mineralisation for a total of 3200m of drilling. It is anticipated that current drilling will allow an initial JORC Compliant Inferred Resource to be calculated for the Project. With money in the bank and drilling underway, this little lithium explorer is looking to light things up in 2017, especially as it angles to make the most of Tesla’s plans to source lithium entirely from North America and capitalises on the positive lithium outlook for 2017 . 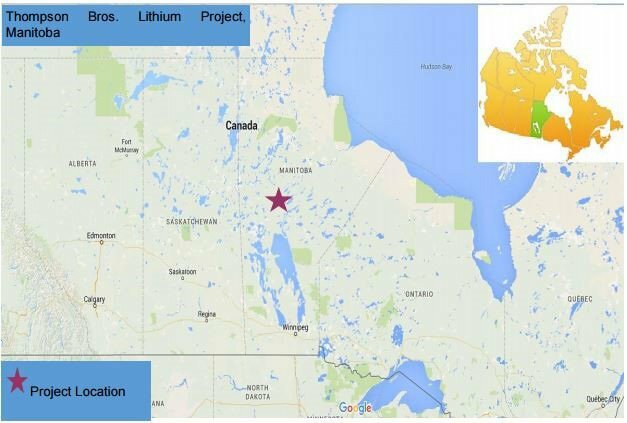 In October 2016, Quantum Resources Limited (ASX: QUR) acquired the rights to earn up to 95% of the Thompson Brothers Lithium Property from privately held Manitoba Minerals Pty Ltd. The site has a historical non-JORC compliance resource of 4.305Mt @ 1.3% Li 2 O, and with QUR fully funded for its exploration program at Thompson Bros, it aims to bring about a JORC compliant inferred resource while conducting its 2017 Winter Drilling program, which has just begun. With a current market cap of only $6.8M, positive drilling results could see the market value of the company jump significantly, especially if it can quickly obtain a JORC resource that will enable fair comparison to its peers. The below table shows where QUR’s valuation sits with regards to its peers and given its early stage, its upside potential looks promising, particularly as it is the cheapest stock in the sector when compared on a market cap per tonne of resource basis. It should be noted this table does not include any further upside given QUR is exploring at depth and along strike. Nor does it take into account the newly mineralised structure at Thompson #5 – which could significantly increase tonnes, as well as any upside at Sherritt-Gordon, Thompson #7 and other areas on the property. The QUR story reminds us somewhat of another Canadian lithium explorer the Next Small Cap has been closely following, Ardiden (ASX: ADV). We first wrote about ADV back in October 2015, in the article Graphite Drilling in Weeks for Tiny ASX Explorer – at a very early stage of that company’s Canadian exploration ( a bit like where QUR finds itself today). 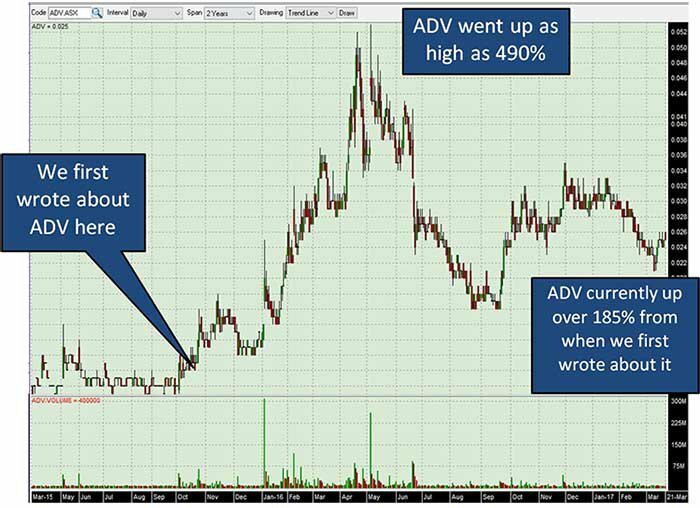 Since our first article on the company, ADV added a lithium project in Canada to its bow, and we have been following the story as the stock price has gone up as high as 480%. ADV is still up 185% and its current market cap is around $20.4M – that’s almost three times more than where QUR’s valuation is today. Successful lithium explorers continue to be rewarded by the market, particularly in the current environment where lithium demand continues to rise to meet the needs of the growing number of companies producing clean-energy based products – most notably car manufacturers including Tesla, Nissan and electronics manufacturers such as Samsung. QUR has recorded highly positive results since beginning exploration last year and following the completion of capital raisings in December 2016 and February 2017, is fully funded to see this first stage of exploration through. In February, the company placed 60 million shares to raise $660,000 before costs, which added to the December capital raising. In December the company placed 42,262,742 new shares at an issue price of 1.6 cents each, together with 1:1 free attaching new unlisted option exercisable at 3.25 cents and expiring on 31 August 2020, representing $676,203 before costs are taken out. Prior to this, the company raised an additional $400k. At last count, QUR held over $1.2M in cash. Not to put all its eggs in one basket, QUR also holds a stake in a gold prospect in the Northern Territory in Australia at its Officer Hill project located 34km south-west of the Callie gold mine which at the end of 2013 had gold reserves of 3.01 million ounces. The Officer Hill project is free carried, removing a substantial amount of risk for QUR. 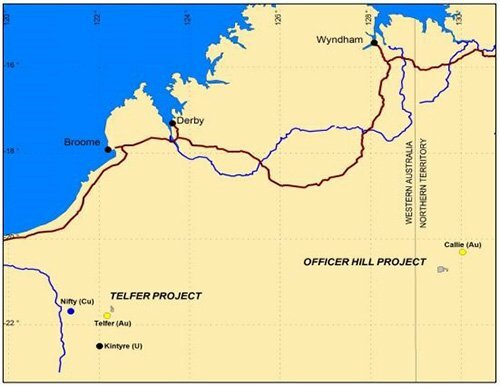 Then there is Telfer, QUR’s 100% owned gold/copper project in Western Australia. The Telfer deposit has reported (non-JORC) ore reserve of 6.3 million ounces of gold and 0.295 million tonnes of copper within a mineral resource of approximately 15 million ounces of gold. Telfer has the potential to be a major gold project in the future. However the near term focus is on the lithium deposit at Thompson Brothers, especially now drilling has begun. Canada has a history of hard rock lithium production. Specifically Manitoba, where QUR has its Thompson Brothers project. Manitoba is consistently ranked one of the top mining jurisdictions in the world, where energy costs are amongst the lowest in North America and also where setting up mining operations is a simple operation as the region has clear and transparent mining regulations. QUR’s Thompson Brothers Lithium Project is located 20km east of the mining town of Snow Lake, Manitoba, with well-developed infrastructure nearby, including a main highway between Thompson and the city of Flin Flon , which itself has a rich mining history, and rail connecting Winnipeg and the seaport of Churchill. Both pass 40km south of the Thompson Brothers project. The Thompson Brothers project consists of 18 adjoining claims covering 1829 hectares. The lithium mineralisation at Thompson Brothers is hosted in a spodumene-rich pegmatite dyke dipping sub-vertically and defined over a strike length greater than 800m. There are additional zones and occurrences within the project area with the main pegmatite deposit open at depth and along strike. The dyke was originally drilled between 1955-56 by Combined Developments Limited, with two additional drilling campaigns in 1979 and 1997, resulting in a total of 32 drill holes. Historical data indicates a possible resource of 4.3M tonnes @ 1.3% Li 2 O, however it is not yet 2012 JORC code complaint. QUR is following up evaluations using existing and additional exploration data to confirm a JORC compliant resource over the coming months. Of course, potential investors should note that QUR is still in early stage exploration mode and therefore any decision with regards to adding this stock to your portfolio should be taken with caution and professional financial advice sought. Meanwhile, mapping of lithium bearing outcrops was undertaken along with the rock chip sampling to find potential exploration zones. Here is a map of the main Pegmatite body and Thompson #5. 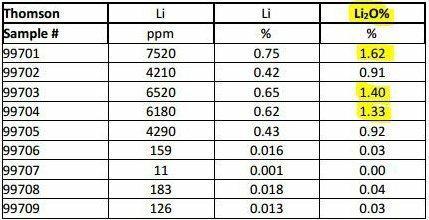 The program identified Thompson #5 as a separate, parallel structure which returned 4290 ppm lithium, with three samples greater than 6000ppm Lithium (maximum 7520ppm Li or 1.62% Li 2 O). 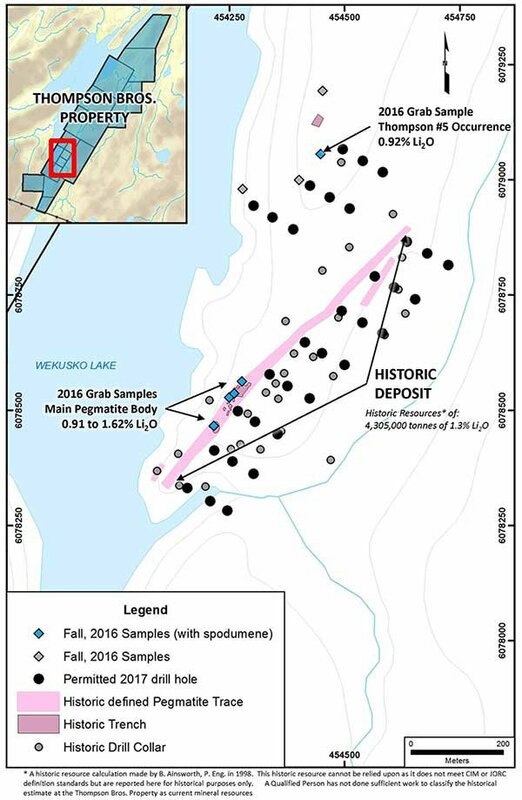 These were identified at multiple locations within the property, including further confirmation of extend of mineralisation at the main Thompson pegmatite. The 2016 winter program was conducted in early November, with the primary focus to validate previous exploration as well as historical data. Assays for nine samples taken from Thompson Brothers were highly encouraging. The sample shown above shows spodumene clusters in pegmatite with 7,520ppm Lithium, 1.62% Li 2 O. The nearby Thompson #5 outcrop and Sherrit-Gordon Zone offer potential for a significant increase in tonnage size for QUR. These nearby lithium bearing structures interpreted from historical data are additional to the main Thompson zone deposit. The Sherrit-Gordon Zone contains a host of pegmatite dykes with intruded parallel structures that were subsequently deformed and locally displaced. Previous analysis of the spodumene by the Provincial Assayer of Manitoba returned 6.80% Li 2 O. Please note that these results are historical in nature and non-JORC compliant. There is no certainty that follow up exploration and analysis will herald the same or similar high-grades. Future drilling at the Thompson Brothers deposit will be conducted by the Edmonton, Alberta based mineral exploration, consulting and management group, Dahrouge Geological Services. The group is experienced operating in the lithium sector, specifically in the development of lithium resources in the United States and Canada. A 2009 metallurgical evaluation of the spodumene deposit indicated that simple floatation would recover 92% of the spodumene and produce a concentrate grading 6.6% Li 2 O, equivalent to 89.2% spodumene. Further processing of the concentrate with a sulphuric acid roast process, producing a lithium carbonate (Li 2 CO 3 ), upgraded the concentrate to 98% Li 2 CO 3 . Carta Resources had completed a business plan to develop the Thomson Brothers lithium deposit to produce lithium carbonate, but a decline in the lithium carbonate prices saw the project halt in 1998. Since then the Thompson Brothers site has had one site visit in which a handful of sampling from historic trenches produced results comparable to historically reported samples. And now, QUR has seen an opportunity to pounce on this project and take advantage of the favourable current conditions for lithium explorers given the surge in the market price for lithium, and its longer term market dynamics. QUR is funded for its Thomson Brothers exploration program following recent successful capital raisings and drilling has now begun. High-resolution airborne magnetic survey over the entire property. Due diligence drilling over the known dykes. 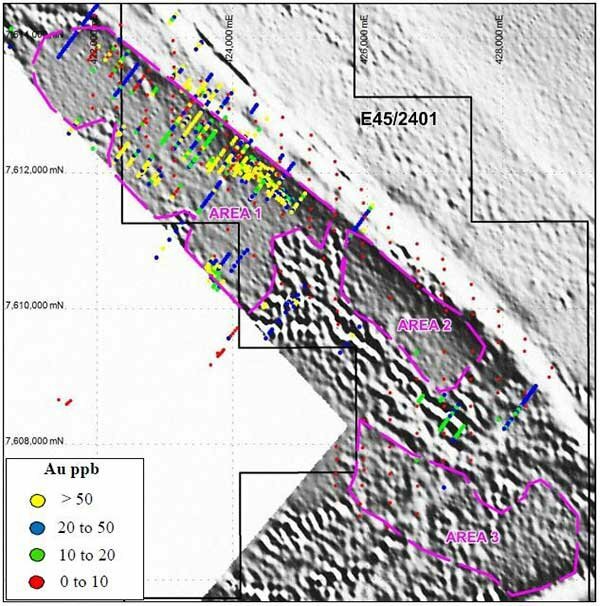 Additional exploration drilling along strike and potentially to test new targets identified. Property-scale mapping, prospecting and sampling to explore larger areas for other dykes/continued dyke corridor. Take additional sample material for further metallurgical study. Resource estimate from drilling campaign and JORC-compliant report. QUR will utilise a forestry and mining winter road to get the majority of the distance to the Project area. To have the roads sufficiently prepared ahead of drilling, QUR completed its planned reactivation of the old drill road last used in 1997, which required packing, flooding and time to freeze to an adequate strength. The drilling program will consists of 16 diamond drill holes for a total drilling length of 3,200m along an approximate 800m strike. As shown below, QUR is aiming to extend the mineralisation of previously intersected zones and test the down dip extension at Thompson Brothers that currently remains open. Once the drilling program is complete, Drill holes will be systematically geologically and geotechnically logged and assayed. Final data compilation, database creation, geological interpretation, and resource modelling will be completed in accordance with JORC regulations. A JORC compliant Technical Report will be completed which will include the data from the 2017 Program. It is hoped this could put QUR on the path to capitalise on current lithium demand, which is set to continue to grow. However lithium isn’t QUR’s only play. Let’s have a quick look at its gold operations in Australia. Located in the Northern Territory, QUR’s Officer Hill project, is highly prospective for gold and possibly other valuable minerals. The total area covered by the lease is 206.08km 2 . 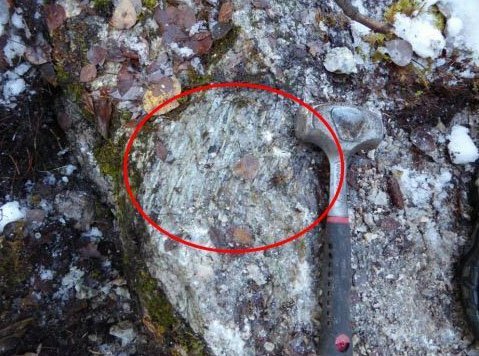 Historic exploration has discovered sporadic mineralisation from drilling, including 4m @ 4.64g/t. Along with several short intervals of 1-4g/t and a number of wide intercepts at 0.1-1g/t. The prospect is thought to host steeply plunging shoots, such as those at the Tanami Gold Mine and the apparent fold closure to the east offers the possibility of the discovery of Callie-style mineralisation at depth. The Callie gold mine which is located 34km north-east of Officer Hill had, at the end of 2013, 3.01 million ounces of gold reserves. The Officer Hill tenement, currently 100% owned by QUR, provides an option for Newmont Tanami Pty Ltd to acquire up to 70%. Under the agreement, Newmont is required to spend $500,000 over 3 years in order to earn a 70% interest in the joint venture. Of which Newmont must spend $100,000 within the first 12 months. Should Newmont wish to get on-board, the financial risk for QUR shareholders will be reduced to progress the Officer Hill project. QUR’s other Australian based project is the 100% owned Telfer deposit, which is potentially one of Australia’s largest gold deposits, with a reported ore reserve of 6.3 million ounces of gold and 0.295 million tonnes of copper within a mineral resource of approximately 15 million ounces of gold. This data is based on historical drilling and assessment, however it is not as yet JORC compliant to today’s standards. The Telfer deposit lies in the world class Paterson Province, which is host to significant deposits of various styles of mineralisation including the Telfer Mine, O’Callaghans tungsten and base metals skarn deposit, the Kintyre uranium deposit and the Nifty copper deposit. The Newcrest-owned O’Callaghan’s ore body, which hosts significant resources of tungsten, copper, lead and zinc, is just 10km south-east of the Telfer mine. Historical airborne electromagnetic and magnetic data has been reprocessed and interpreted by an external consultant identifying an extension of a dome structure which hosts the 17 Mile hill deposit into the tenement area. 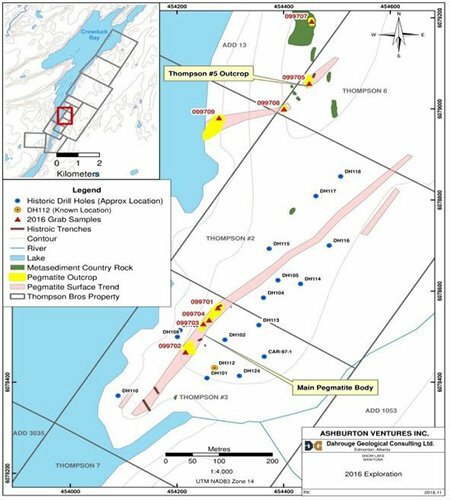 Through recent exploration a new target area associated with the structure and a potential granite intrusion was identified, satisfying a number of important exploration criteria in the area of the Telfer project. Gold occurrences were found in the geological logs from some of the drill holes, which may be associated with lateritic residuum at the base of the transported overburden and has not been followed up since. QUR sees the opportunity to immediately investigate and test the fresh bedrock through either extending the exploration grid or by drilling closer spaced holes. 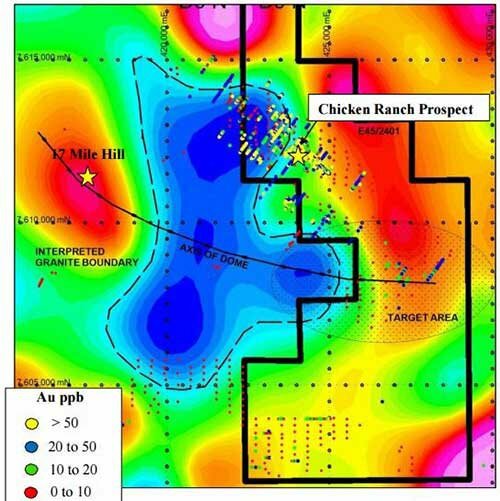 The Chicken Ranch Prospect at Telfer contains gold mineralisation associated with deeply oxidised sediments of the Punta Punta Formation and includes mineralised intercepts of up to 7m @13g/t and a maximum grade of 1m @52g/t. The potential for the site to host economic mineralisation is boosted with the Fallows Field deposit located in close proximity north-west to the Telfer mine. The Fallows Field deposit if hosted by the Punta Punta Formation, which in the 1980’s saw Newcrest define a mineral resource and mine approximately 50,000 ounces of gold from the site. These factors bolster QUR’s confidence that the Chicken Ranch prospect may host a commercial deposit. As the demand for lithium grows, a scramble by suppliers to shore up access to the resource is likely. This is already beginning to take place with the likes of Pure Energy Minerals signing a supply agreement with electric car manufacturer Tesla . As we’ve reported in previous Next Small Cap articles, Tesla is looking at its own backyard for lithium supply. With its new gigafactory up and running in Nevada, sourcing lithium from the North America has the potential to lower its costs. Also, the three major lithium suppliers that currently dominate the space have not expanded their capacity enough to meet Tesla’s projected demand. That means any company producing a high grade mineral could come under the Tesla microscope. 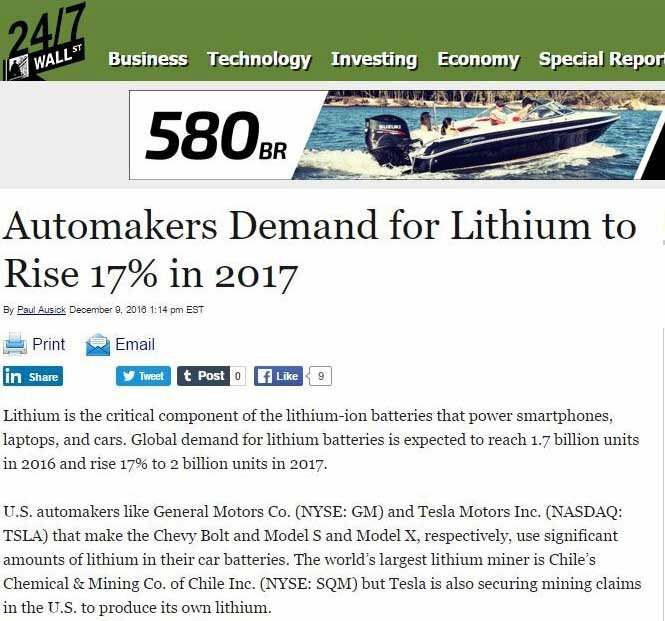 And Tesla isn’t the only company now looking seriously at lithium supply. Car makers in general are set to up the ante. Should this trend continue, as we expect it will, the ships will rise with the tide. Meaning companies playing in the lithium space could see a boost in 2017 and beyond from the importance of the resource and the increased level of necessity for the mineral in modern day technology. Lithium is the main ingredient in lithium-ion batteries, which is the technology that will drive us (literally) into the future. It is used in many of the gadgets, computers and electric vehicles currently on the market and in future electronic technology. QUR is likely to receive attention from the market should its drilling program at Manitoba impress. There could also be upside in QUR’s gold projects. This year will see QUR begin its thorough exploration program at its Thompson Brothers lithium project. 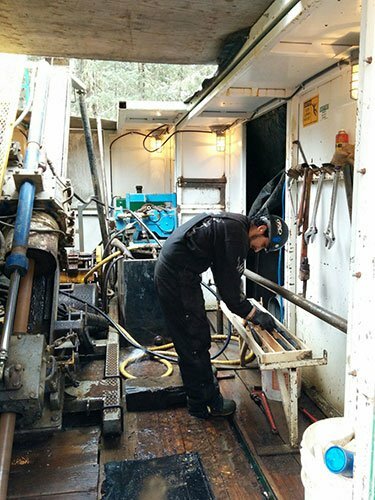 Backed with extensive historical data, drilling has now commenced and QUR is well on its way to establishing a JORC compliant resource at its Canadian prospect. While lithium will be the main play in 2017, QUR will also seek avenues to progress its Officer Hill gold project with JV partner Newmont, including the farm out agreement in which Newmont can earn up to 70% of the project. The 100% owned Telfer gold/copper project in WA has well defined target areas to test for grades and thickness based on historical drilling and magnetic/electromagnetic data. QUR expects to see increased news flow finding its way to the market early in 2017. As the lithium space becomes increasingly validated as a commodity of the future, investors will seek to gain exposure to companies in the space and QUR has the project that could gain significant attention.